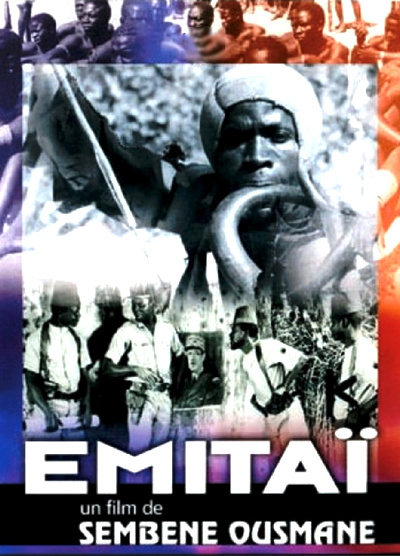 The film Emitai invokes recent African history and tribal mythology and religion. The film is set during the final days of World War Two and describes the clash which took place between the French army and the Diolas tribe in the Casamance region of Senegal. The film centres on attempts by the colonial administration to impose a new rice tax in a Diola village and the resistance that followed. The word "Emitai" is the name for the god of thunder in the religion of the Diolas people and the unique relationship between these people and their gods is one of the major themes of the film. When the film was released in 1971, it was immediately banned in Senegal, and throughout Africa.